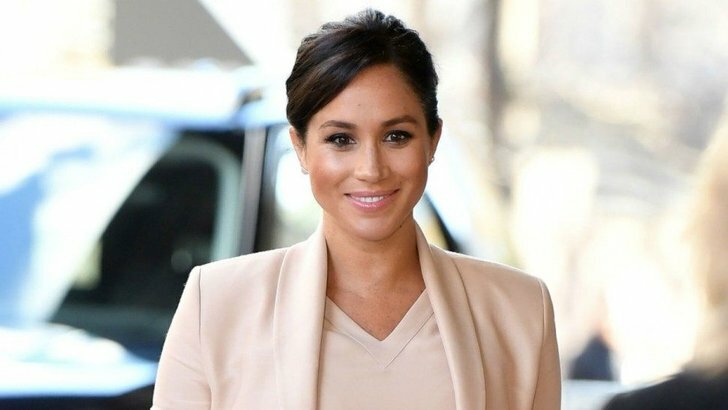 It won’t be long before Meghan Markle welcomes her first child, and she’s certainly glowing even more than usual. We’ve always been a fan of her amazing hair, and pregnancy has made it even more luscious and healthy looking. What’s the deal with pregnancy hair? Trichologist Jane Mayhem explains: “Hair loss and thinning is one of the most common complaints of women following pregnancy, with most women experience some sort of hair loss after giving birth. It is the fluctuating hormone levels during pregnancy and following child birth are the primary cause of thinning for new mothers. Jane says: “The increased levels of hormones during pregnancy can cause the growth cycle of the hair to increase, meaning the hair is less frequently renewed and replaced at the site of the follicle, and women will experience thicker and shiner hair. “I find that most women will experience some level of increased volume by around the six-month mark. Jane explains: “The folic acid that many expectant mothers take before they fall pregnant can also help to improve and stabilise hair growth patterns. It's important to remember that simply using certain products can enhance the volume of hair significantly. “When the hormone levels decrease after child birth, the growth and thickness of the hair will also decrease. This hair loss can be more common than people think and I do quite frequently see patients who are concerned about post pregnancy hair loss and/or thinning. “In terms of how to prevent this, there is no quick fix for this kind of problem. However, there are certain steps that can be taken to improve the condition and growth of hair. “Heat is one of the biggest factors which causes damage to your hair. So regardless of whether or not you are pregnant, excessive blow drying and use of heated styling appliances can be the make or break of your hair- literally! “This is particularly the case in the months following pregnancy when hair is at its most fragile. “As well as this, maintaining a balanced diet can help boost the strength of hair. Keratin is the fibrous protein in hair and nails which is the main structural element. This is an edited version of an article originally in the Daily Mail.